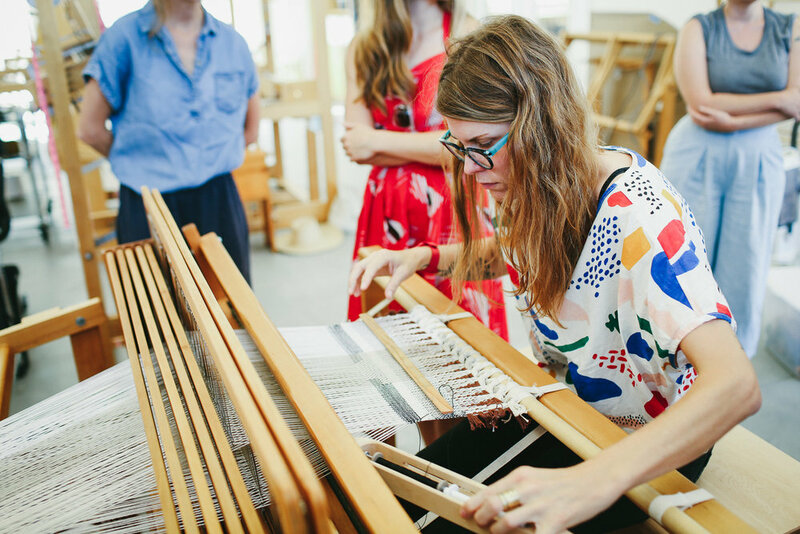 The AZ West Weaving Symposium and Retreat came about in 2016 when I had been invited to come out Joshua Tree and have a personal retreat at AZ West to use Andrea Zittel's weaving studio, develop new work, get a little r + r, and hang in the desert. 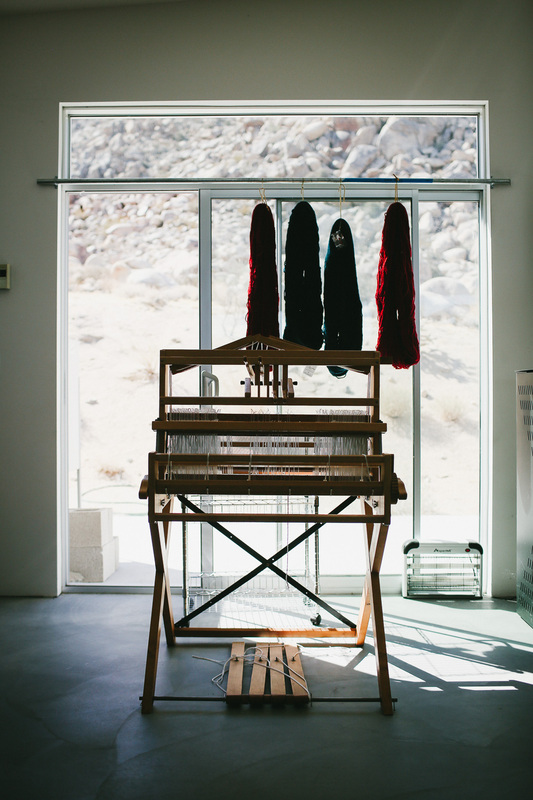 While I was there, my friend Christy Matson drove out to Joshua Tree for the day from LA to visit me. 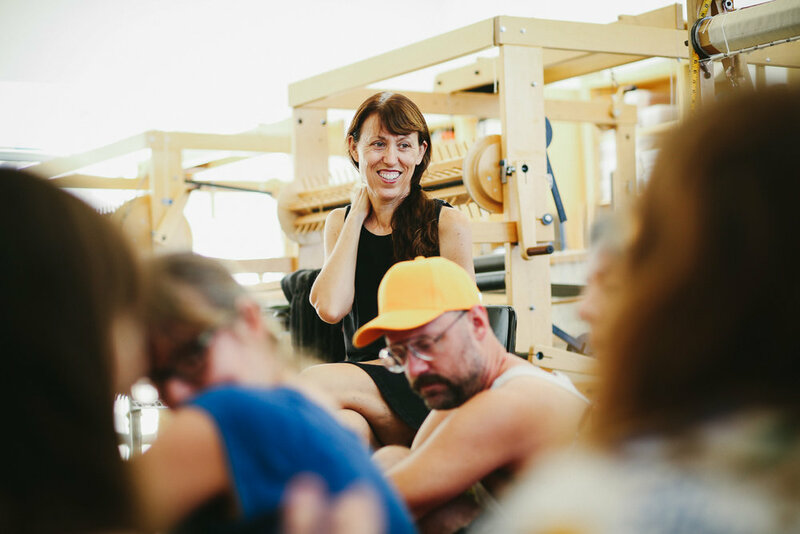 Sitting around chatting, Andrea explained she wanted her weaving studio to be open to the community when she wasn't using it. 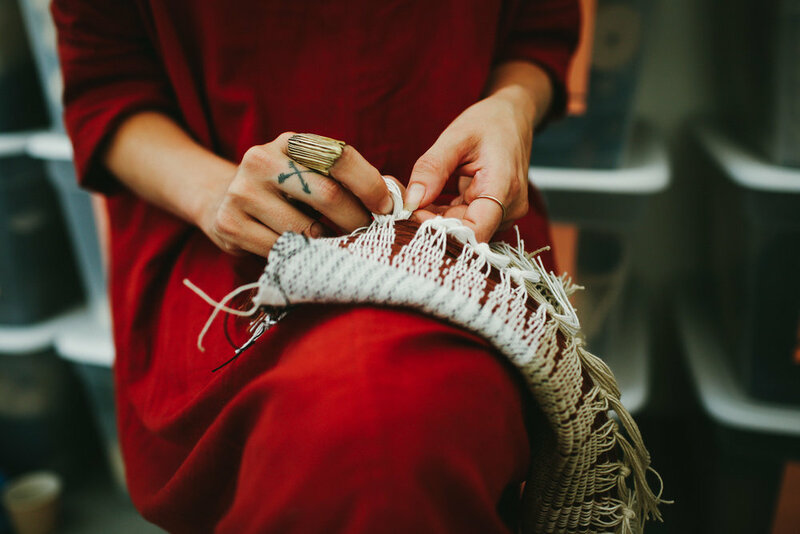 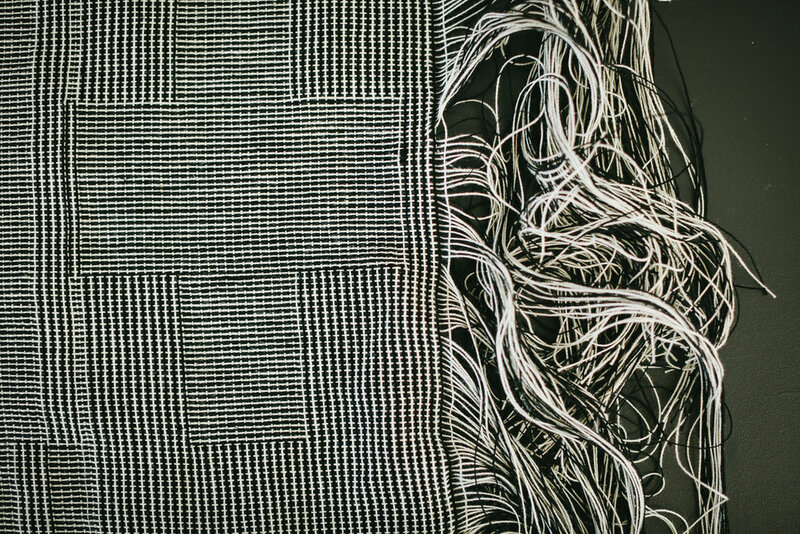 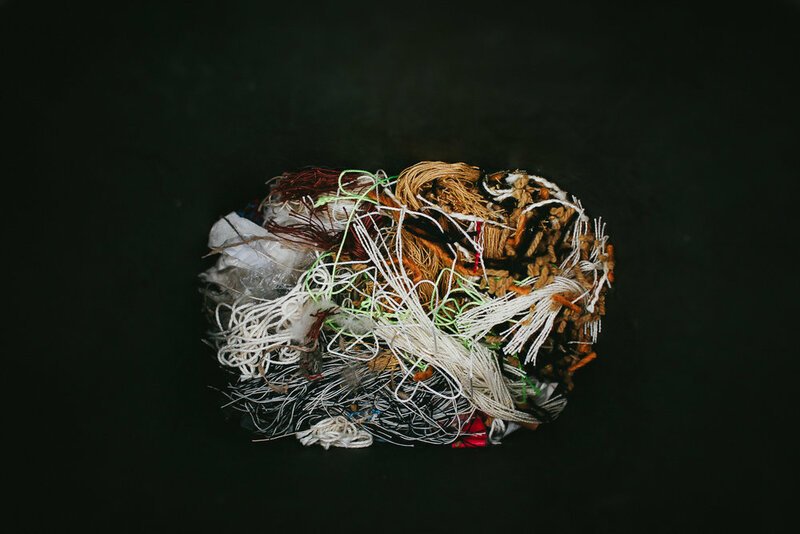 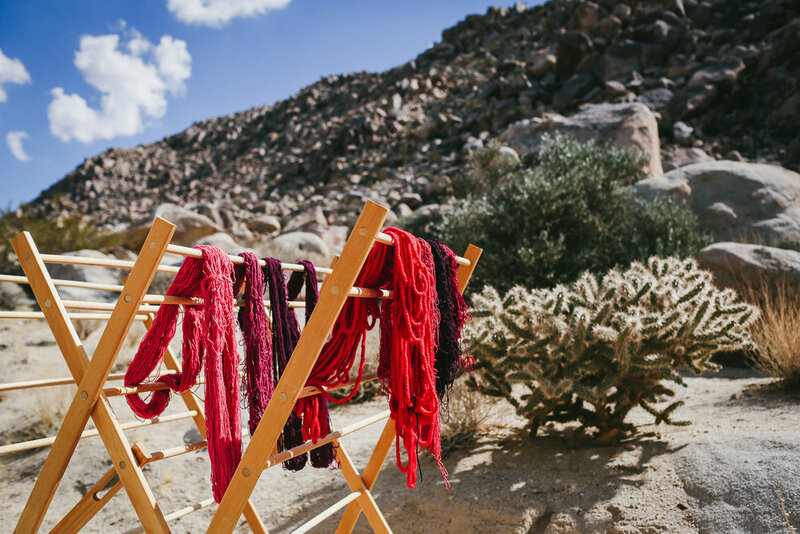 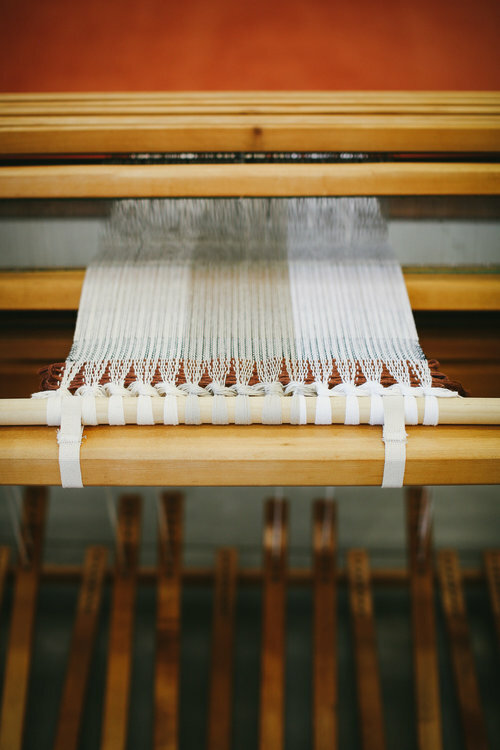 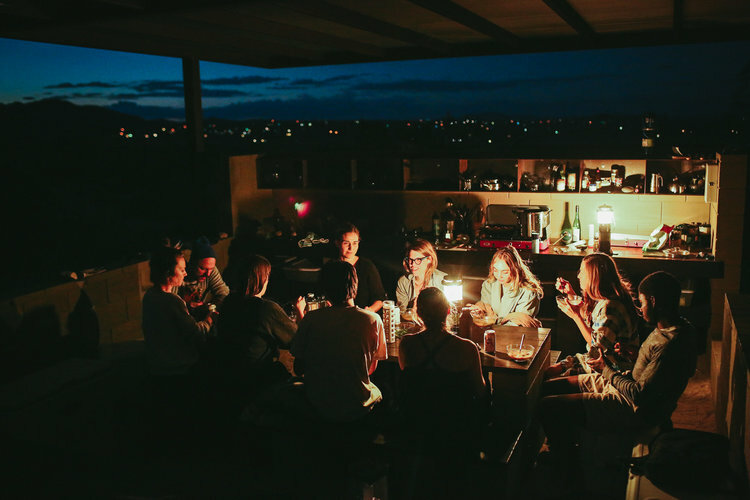 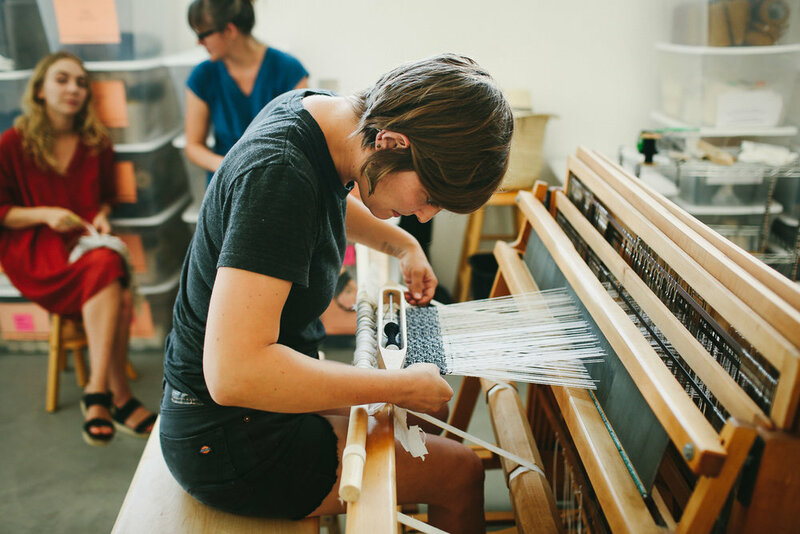 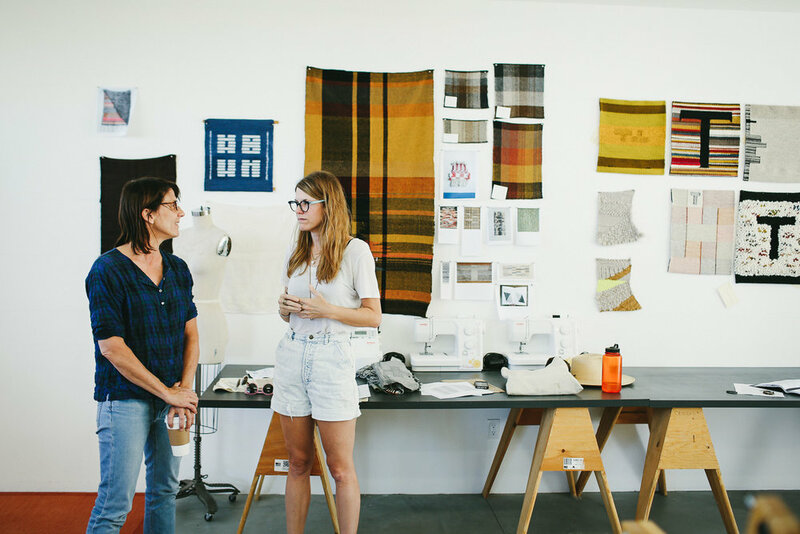 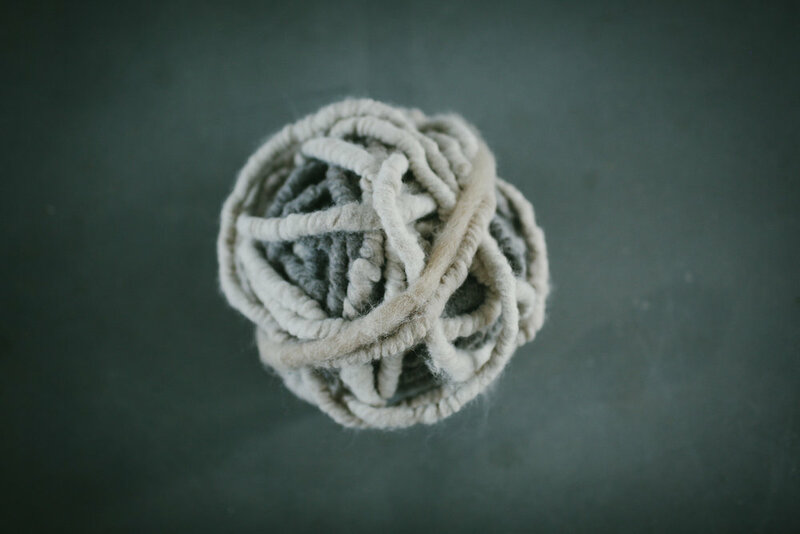 The opportunity to engage with other weavers, learn new things and possibly expand a weaving community in Joshua Tree was the foundation of the idea. 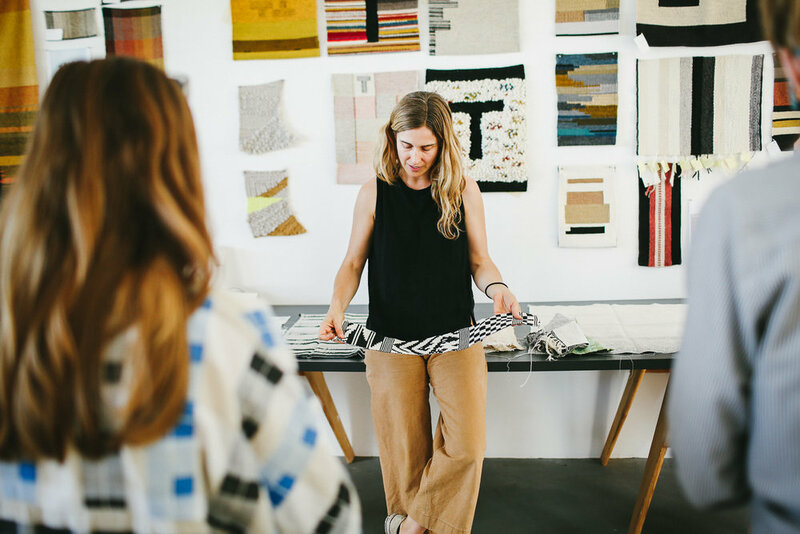 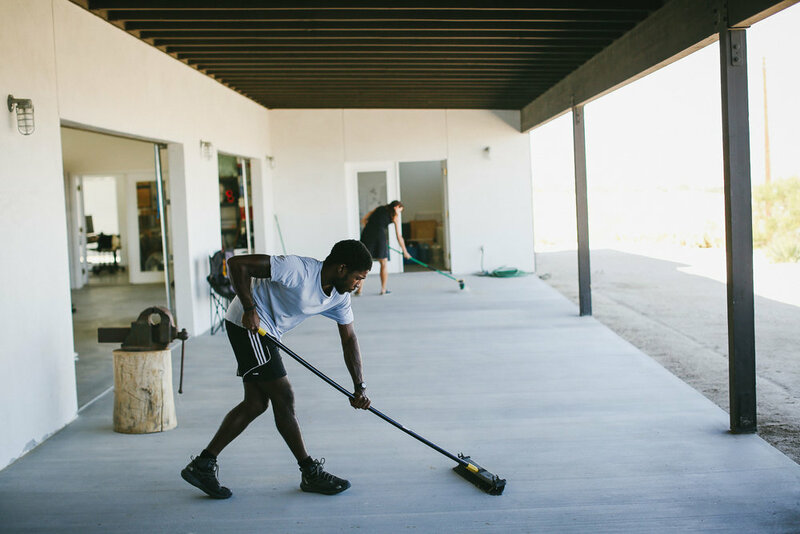 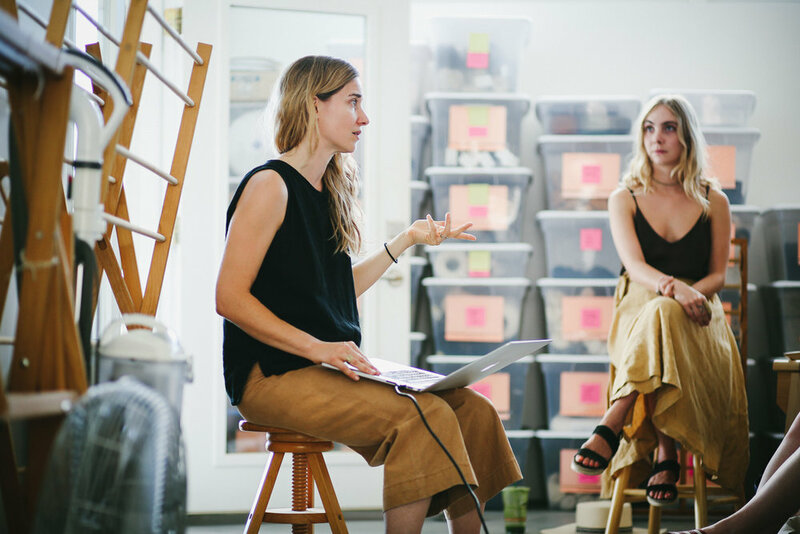 Later that fall after emails, phone calls, sending invitations, and months of planning and preparation, Christy and I welcomed 10 artists, designers, craftspeople and practitioners working with in a creative practice in fibers and textiles, hosted by Andrea Zittel at AZ West. 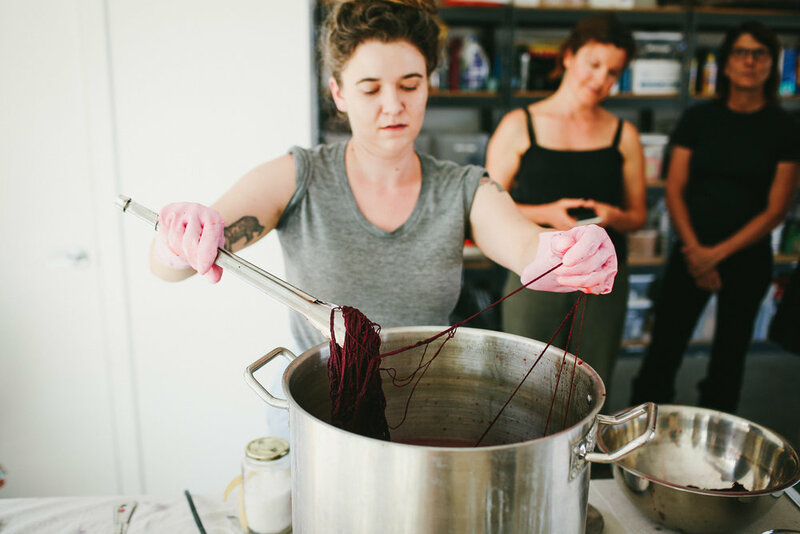 Everyone came together from near and far for a one week symposium to discuss, engage and explore praxis, design, ideas and concepts in fiber art, materials, textile design, weaving and dyeing techniques from craft to industrial production. 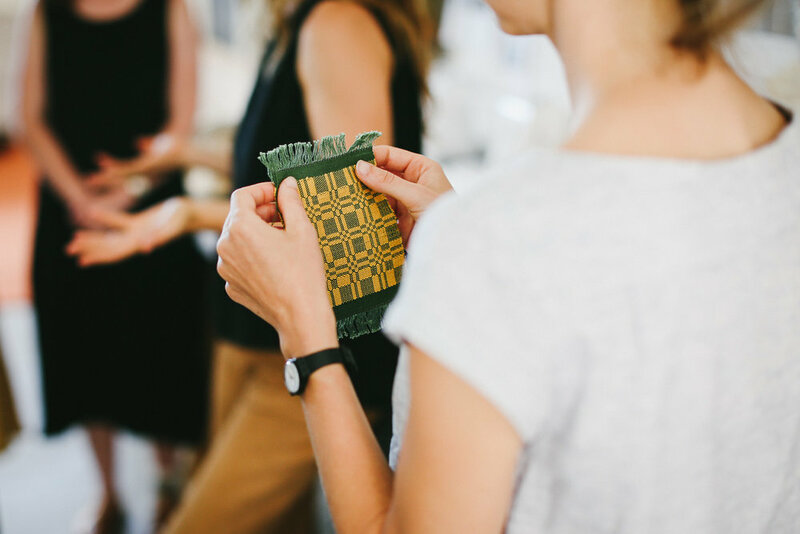 Our symposium was such a success we have decided to do it again in 2017, however this will be the last one we organize.